Bengaluru-based AXISCADES said it will set up its North American headquarters in Indiana, a move that will create 500 engineering jobs by 2023. AXISCADES brand represents AXISCADES Engineering Technologies Ltd (A listed entity) and its wholly owned subsidiary AXISCADES Aerospace & Technologies Pvt. Ltd.
Indiana, which is the home state of US Vice President Mike Pence, also hosts one of Infosys' four innovation centres in the US. AXISCADES, in a statement, said it also plans to invest up to USD 10 million over the next five years to establish the operations in Indiana. "This will enhance the company's US presence, and create 500 high-wage engineering jobs by the end of 2023," it added. The announcement was made in the presence of Eric J Holcomb, Governor of Indiana State, US, who was hosted by AXISCADES at its Bengaluru facility. The move was seen as an attempt to woo the Donald Trump administration that has been critical of outsourcing firms for unfairly taking jobs away from US workers. AXISCADES said it has shortlisted possible sites in Indiana to locate the new facility and will make the final decision by the end of this year. It will launch operations in Indiana by April 2018. "This is part of our strategic initiatives to continuously evolve and invest in expanding across North America and to provide high-end technology solutions," AXISCADES Vice Chairman Sudhakar Gande said. The company provides product engineering solutions to aerospace, defence, heavy engineering, automotive, energy, medical and healthcare companies. 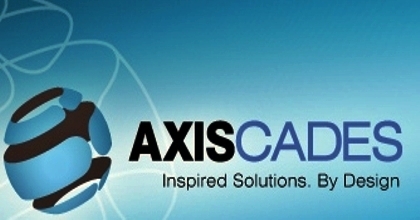 AXISCADES employs over 1,900 people across the globe, including about 250 engineers in North America. Pending approval from the Indiana Economic Development Corporation (IEDC) board of directors, the IEDC offered AXISCADES up to USD 4.3 million in conditional tax credits and up to USD 500,000 in training grants based on the company's job creation plans.